Welcome to Round 10 of my Five Friday Faves! It's been a hard week for me-- I've been sick [again] with what is hopefully my last bad cold of the year (fingers crossed!). So here's a fun list of my go-tos to start your weekend off right. TGIF. 1. Tully's French Roast K-Cups. A flavorful, bold option if you need a hefty dose of caffeine. 2. 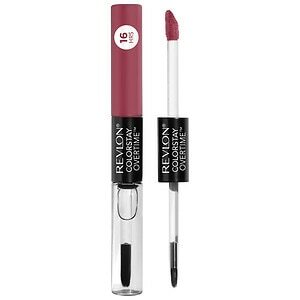 Revlon ColorStay Overtime Liquid Lipcolor (~10). I talk about lipstick a lot, don't I? I guess I am a lipstick girl. I like wearing a rich berry color, but there is absolutely no way I can reapply all day with a 1 year old pulling at me to pick her up all day, and a 3 year old begging me to play cars. I try to put this on in the morning, and then I just apply clear balm throughout the day when my lips feel dry. My signature shade is Infinite Raspberry. 3. 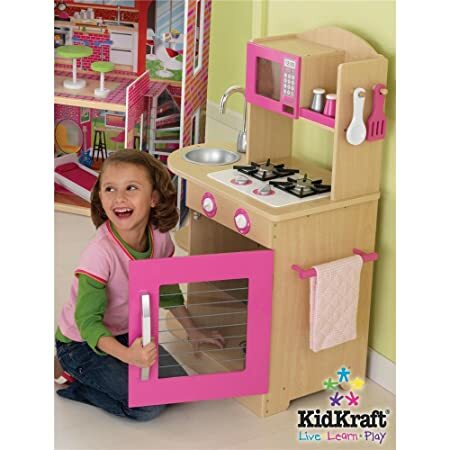 Play kitchen from KidKraft (~100 on Amazon). My mom (remember the World According to Ceci?) gave this simple, retro play kitchen to my daughter for her 1st birthday. Both of my kids like it. Not only is it adorable, but because of the natural wood color and the simple, pretty pink, it can be in my family room without me wistfully wanting to throw it out like I want to do with all the primary-colored plastic stuff. 4. 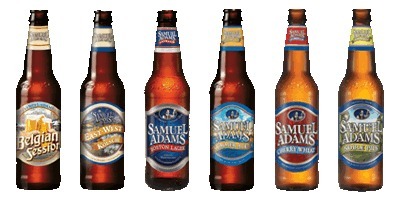 Sam Adams "Beers of Summer" variety pack. Ah, summer. Considering there is a fresh blanket of snow on the ground here in Minnesota, we can dream, right? 5. Instagram App (free). I jumped on the Instagram bandwagon recently, and I am hooked. Its best feature is the option to filter your photo with different lights and lenses. You can transform your simple iPhone photo into: black & white, sepia, lo-fi, vintage-like, and many, many more. Find me on there at FranticMama, and I'll follow you back [unless you're creepy, in which case, no, I won't]. *Stay tuned for my Friday Faves featuring some of my readers' faves!